What Are The Different Types Of Tenancies? A Lease Purchase Agreement is generally an agreement between two people regarding a piece of property. One person is the landlord (and/or the owner), while the other is called the tenant. The owner of the property, typically (but not always) a single family home, and decides to sell it on a “Rent to Own” to someone. The someone, that is the tenant, approaches the owner/landlord and they enter an agreement. The tenant pays an amount to the landlord. This amount is still known as the “rent”. The lease is usually for a fixed period of time, but the property can be closed earlier. 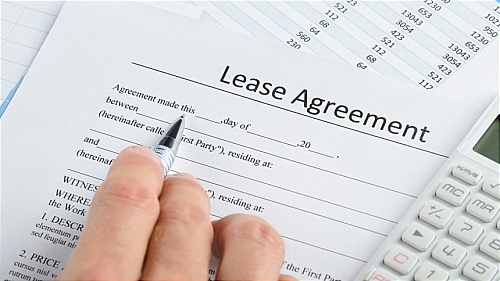 Depending upon the term of the contract, lease options are grouped into types. According to various sources, the types of tenancies are fixed term tenancy, Tenancy for years, Periodic Tenancy and Tenancy at will. Fixed-term tenancy is called so as it is for a fixed period of time. Tenancy for years has no fixed period of time. It can last for any amount of time. The time set is not certain. A periodic tenancy is a tenancy which is determined by the term of the rent that has been paid. It may be from month to month or so. Tenancy at will can terminate at any time. Normally, it will occur where the tenancy is not for money. Before knowing more about lease purchase agreements, you can grasp some information about the Formalities and Terms of the lease. A lease is nothing but a contract for the ownership and profit of lands between the tenant or lessee and the landlord, owner of the property. It is mainly a rental agreement between the two. The lease is a legal method which has the possession of real property for a certain amount of time by paying the rent. The relationship between the “lessee” and the “lessor” is known as tenancy. After the lease given to the tenant by the landlord, any intrusion regarding the property by the landlord will be unlawful. The words of the lease, by which it is made. The various parts of the agreement. The formalities that the law needs. A lease is written indeed. It consists of premises, covenants, conditions, warranty etc. The formalities for a lease are mainly done with the help of rules and regulations of the jurisdiction. In cases of personal property, the rental agreement is made. In order to maintain the Statute of Frauds, tenancy which is more than one year should be written. The duration of the lease depends upon the tenant and the landlord. It may be fixed or it may be for an indefinite period. In case of a fixed period of time, no notice is required after the period terminates. When the term is conditional then the term ends after a certain incident takes place, such as the death of the person (tenant or landlord). If the tenancy is periodic, it is renewed after a week or month. Lease purchase agreements are indeed difficult. But now they have become easier!! Lease Purchase Agreement Made Easy, currently includes both Microsoft Word & Adobe PDF formats. The good part about it is, that the price is honestly as low as negligible. The name lease purchase contract came from the term lease with option to purchase contract. It is a combination of the lease contract and the purchase contract. It is a well known financial document from 1970. A lease purchase contract is a written deal between the seller of a property and the buyer. If a buyer wishes to purchase a property but is not capable for a usual mortgage then this type of contract is used. 1. The lease purchase contract is a very swift, simple and least costly means to purchase or sell a property. It has replaced the conventional adversarial relationship that usually exists between the buyer and the owner. Nowadays it has been very popular as it is beneficial for both the buyers and sellers. 2. If a buyer wishes to buy a certain property but not having sufficient cash with him, the lease purchase contract is the best option for him. 3. From the seller side, it is beneficial too as the seller will get a top sales price even if the demand is low. Buyer should fill a complete application. The owner should check the buyer’s credit history and employment history very carefully. Buyer should be very careful to choose the property as this contract is usually offered for that property which is not easy to sell. Most individuals choose between buying an apartment or a traditional home upon a piece of land. The homeowner owns the land in the latter option. The third alternative of homeownership could be to purchase a home and to lease the land on which the home rests. Since the idea of ownership of a home on leased land is slightly unusual, you may find it difficult to look for a selection of this category of housing. However, if you seek key words in real estate advertisements like “leasehold interest”, or “association gym”, you can locate homes for sale on leased land. If you are not averse to the idea of staying in a mobile home, you can look for manufactured homes in trailer parks. Trailer or mobile home parks offer the most common kinds of housing on leased land at affordable prices. Traditional brick and mortar homes will be costlier, though less expensive than the property on owned land. You will have to take out a mortgage for buying the home on leased land with a down payment, as usual. The monthly mortgage dues will be quite affordable because of the lower cost of the home. However, you will have to pay fees for the upkeep of shared external areas, which could include tennis courts, swimming pool, and other conveniences. In addition, you must pay the lease of the land every month. It is important to deliberate upon certain aspects before deciding to buy a home on leased land. You should ascertain that the time left on the lease exceeds the time you intend to stay in the home. It may be difficult to secure a mortgage for the long term if only a few years remain on the lease. Determine the terms of the clause for surrender. The authorities may not always renew a lease after its expiry. Some surrender clauses specify that you may have to give up the home if there is no renewal of the lease. Check the details about the monthly land lease expenses and other fees. Enquire about how often these fees would adjust. Escalating fees could compel you to move later. Compare the costs of home ownership on leased land with costs involved in renting a home. If the costs of renting in the area are affordable, stay in a rental home until you can afford the costs of regular homeownership.